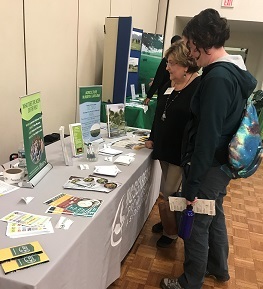 N.C. Aricultural and Technical State University is holding its 33rd annual Small Farms Week this week to pay tribute to the importance of small farms to agriculture in the state, and the NCSPA is a sponsor. The event began Mar. 25 in Duplin Co. with a panel discussion of master farmers and local farm tours. Festivities have continued through the week with educational workshops, demonstrations on campus and a luncheon. The NCSPA had an exhibit at the event on Mar. 26 on campus in Greensboro, pictured in the photo to the left. The NCSPA is proud to support this event which recognizes the contributions of small farmers and provides educational opportunities.